FDn to EF Conversion pricing page : On this page, we have a range of pricing for existing FDn to EF conversions that we do. Just below is our special pricing for the 20mm through to 135mm range. If you continue down the page, you can see a list of some of lenses we currently convert but remember, WE CONVERT ALL Fdn Lenses, this is just a sample of prices beside each one. 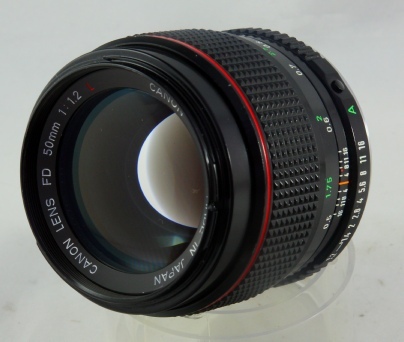 If you would like your lens converted, then simply BUY IT NOW, we will send you a detailed document by return e-mail , please enclose this document when you forward your lens for conversion, it could not be simpler, buy it now…. send it. 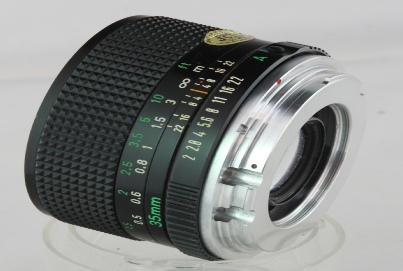 If your lens is not on the list, send an enquiry to us for a current price.. YES WE CONVERT ALL Fdn lenses so if you don't see it ASK !! 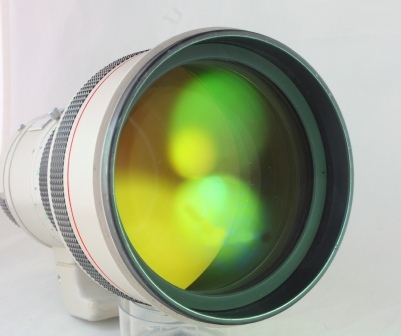 !…… All our lens are sent back fully converted but most important…………………..
ARE YOU CONSIDERING BUYING A CONVERSION KIT? STOP…STOP!! Every converted lens we have ever done requires collimating and calibration, this is without exception. Once you go inside a lens and interfere, then one thing the lens requires to be without any doubt is technical set up and particularly when moving onto another Camera body like FD to EOS, which of course is not shown on any videos. Why have the hassle when we have the most attractive costs available and all done for you. Your lens will be set up, collimated and calibrated and precisely Fine Tuned for absolute maximum performance from each and every individual lens we convert. A NEW REAR PERMANENT MOUNT GIVING NEW LIFE TO A WONDERFUL RANGE OF FD LEADED GLASS. Please click the Buy it now, for each lens you wish converted. We will message you back with a detailed purchase sheet, this will ask for all details of the lens and your personal details ,address etc, for returning the converted lens to you. Please ensure your e-mail,contact telephone number and address are included with the purchase. This accomplishment has taken many, many hours and meticulous precision engineering to accomplish, why put up with conversion hitting the mirror…the ultimate conversion ..since we have now completed over 300 X 85mm F1.2L conversions it has come to our attention that some lenses were fitted with oversized helicoids. 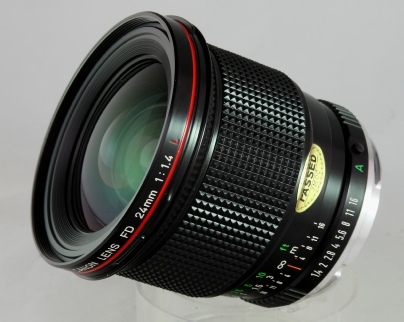 In our estimation we have found 1 in 15 lenses (85mm F1.2 L) will have these helicoids. Because our measurements and conversion is so precise, this will mean that if you want the lens to clear the mirror in a Full Frame Canon , the infinity focusing will be at 98% in all honesty really not noticeable, but we have to enlighten customers with these oversized measurements. As the lens is predominately used for portrait work it really does not affect the performance of the lens. Unfortunately we cannot tell from external viewing what lenses have these, it is only when the conversion is being carried out we can discover these lenses, it will not affect any critical measurements in APS-c sensor cameras. 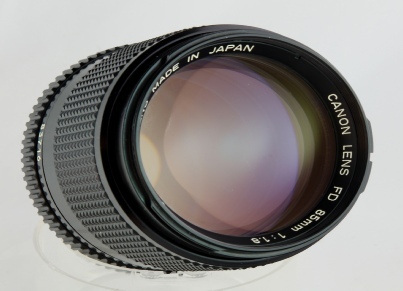 This lens came from a time when Canon were experimenting with aspherical glass built into plastic moulds, there were 3 lenses that were introduced with aspherical glass this being one of them. The lens on digital is Brutally sharp with inky black colour and contract.. 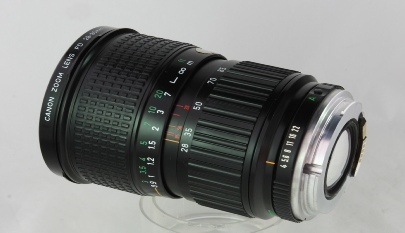 This lens will not disappoint even the stringent scrutinising photographer. This superb distance wildlife/sports lens when converted produces exceptional quality photographs , we have converted a number of these lenses, some of which were used “On Safari” and the customer who used it impressed his safari companions so much two of the people that were with him, ordered this lens conversion on there return..
Big and heavy but balance very well in hand. The extra stop in speed may made a lot of differences for available light photography. Further, you will have extra stop to play around with depth of field control. Especially suitable for head and shoulder type of portraiture or fashion photography. Equally versatile for news and reportage, sports and even nature photography where its slightly longer focal length can be used to isolate a section within a view. 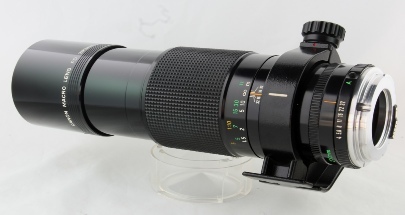 One of the best options among the few alternatives within the 300mm focal length. 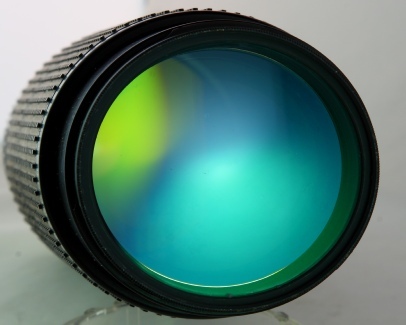 Two ultra low-dispersion glass elements used in this lens correct chromatic aberration and substantially reduce the secondary spectrum. 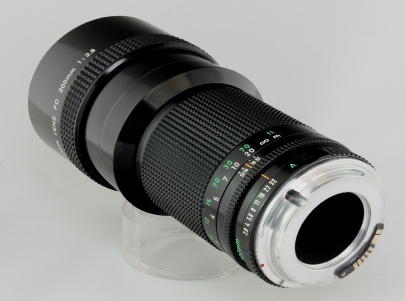 This lens covers the most frequently used focal lengths and with its zoom ratio of 3, rivals the excellent standard zooms. Canon uses three group zooming system optimally corrects all aberrations and allows light weight, compact construction. A built-in movable flare-stopper minimises undesirable incident rays to maintain flare-free excellent optical performance.The built-in macro capability permits close-up photography over the entire zoom range. 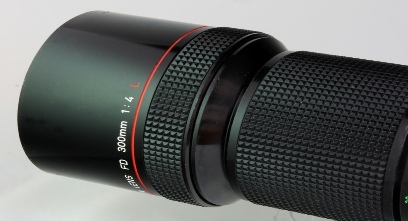 A minimum film-to-subject shooting distance of 50mm is possible at the short telephoto extremity of 85mm (with a magnification ratio of 0.2X). Constant aperture of f4.0 is maintained throughout the zoom range. A substantial conversion producing outstanding deep and life like colour on digital. 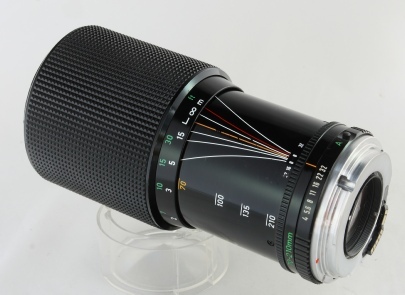 This lens covers the focal lengths of four fixed focal length lenses: 85mm, 100mm, 135mm and 200mm. Even though it has a zooming ratio of 3, it is still designed compact and lightweight. In spite of its short length, aberration correction is very good. 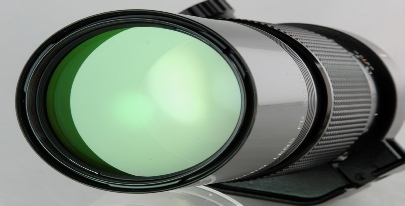 A high refraction lens prevents coma at the center focal length position and maintaining high resolution and contrast throughout zoom range. A single ring permits simultaneous zooming and focusing. 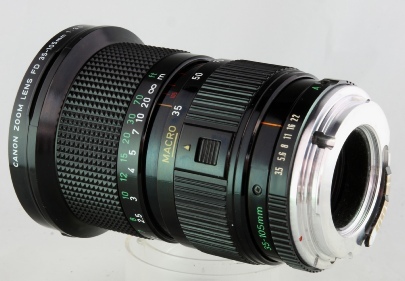 Macro focusing from infinity to 44cm is possible when the lens is set to 70mm. 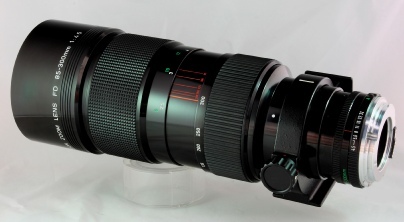 The 70-210mm zoom lens offers the brightness and high performance of an f/4 maximum aperture at an affordable price. 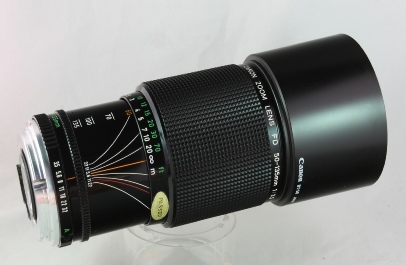 This Canon EF 80-200 F4 L after EOS conversion from FD and complete refurbishment is in outstanding condition showing only minor usage from previous owner. It’s functionality is immense, stopping down with precision clicks, and finding focus easily in minimal light conditions. All markings are bright and colourful. The surface mounts are New conversion to EOS and contains built in a AF confirm chip. This is a highly sought after lens and its utilisation onto EF digital cameras gives staggering performance, this lens in its day was used by professional photographers and a quick Google will give you a multitude of glowing reports on its outstanding performance, use this precision optical lens utilising Digital Technology in the Canon EF range in manual mode, and astound yourself! 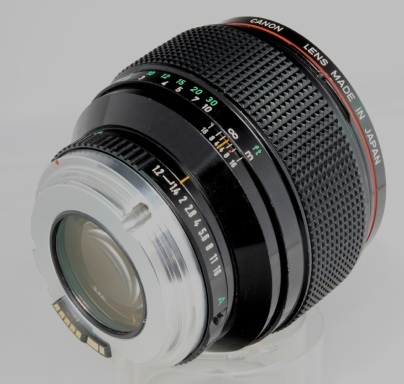 FDn to EF conversions pricing - You Supply the Lens We convert it. The Canon Fdn 300mm F/2.8 one of Canon’s most favoured lenses, high performance practicality and with Aspherical UD and Leaded glass gives staggering quality images even in low light conditions this lens stands up well against most of the major manufacturers products. In our conversion we match the lenses quality to precision , ensuring all indications on the lens are precise on the new EOS platform, giving fine tuning of the calibration making sure it keeps it’s closest focal point and infinity focal points. 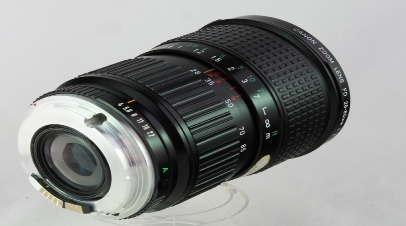 Many of the conversions we do on this lens (95%) are going to HD video filming and with out added Fluid variable Aperture it gives the cameraman more precision and added value from a top notch lens, at a fraction of the cost of a dedicated Cine Lens. 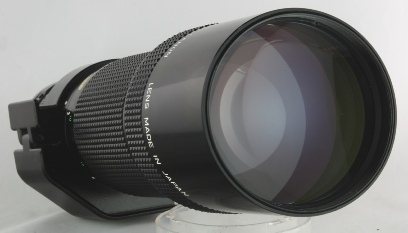 This is a lens that will not disappoint even in the amateur’s hands. Recently tested on 4K resolution platform , with staggering performance.